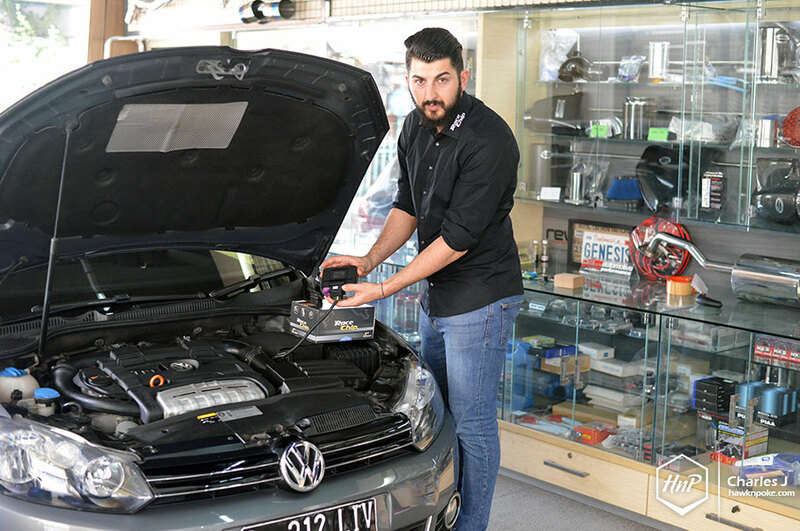 Recently we received a call from Davin Elika, one of our partners, inviting us to visit his garage while looking forward to introducing us to one of his latest offerings: RaceChip Chiptuning from Germany. As it turned out, Davin has been expecting one of RaceChip Germany’s representatives to come over to his shop. 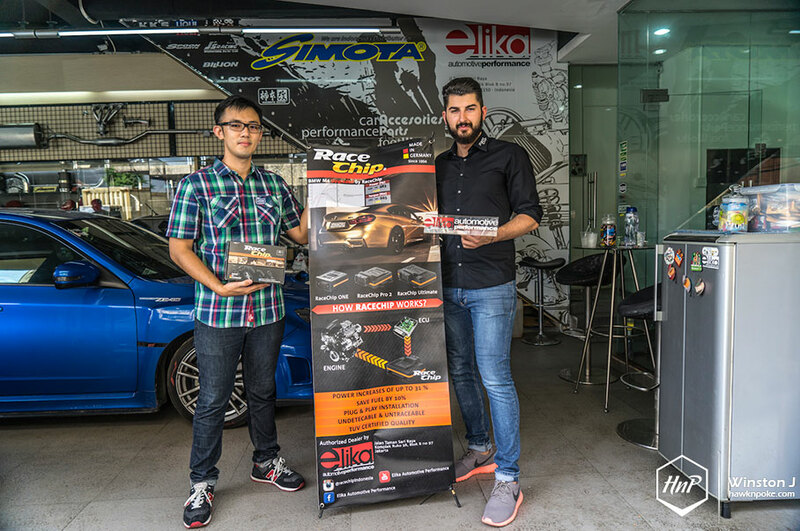 Eagerly, we soon scheduled a workshop visit and met Davin along with Aaron Deak, RaceChip Business Development Manager, to know more about RaceChip Chiptuning. As Indonesians, a lot of us has been relying on our automobiles on a daily basis. Whether it’d be for ‘work’ on weekdays or ‘play’ on weekends, we simply couldn’t get away from the times we spent driving our vehicles everyday. 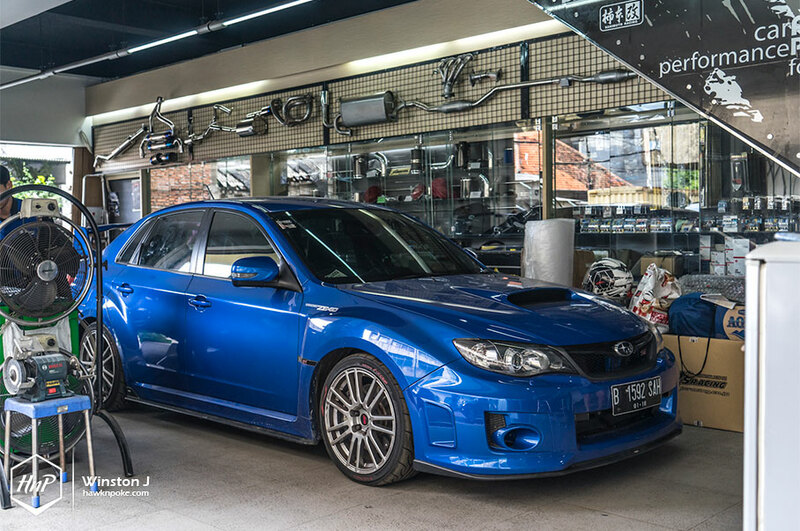 It’s also been a well-known fact that most of us do favour better fuel-efficient cars for our daily commutes and tend to enjoy higher performance cars on our weekends. As a result, we couldn’t hide our needs to tune our cars to our likings. 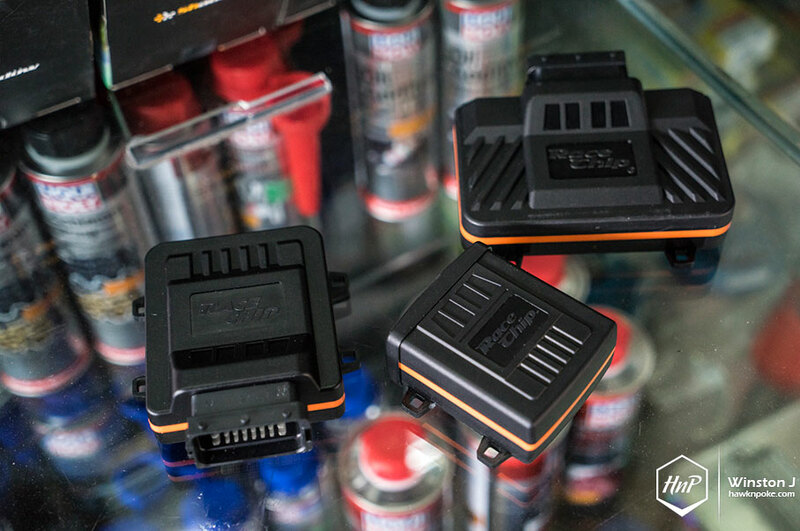 When it comes to engine performance and efficiency, nothing beats the popularity of ECU tuning products. Therefore today we’d like to introduce you to one of the latest offerings from Germany: RaceChip Chiptuning. TUV-approved and highly customisable, RaceChip tuning comes in the form of a future-proof micro-controller packaged inside a nicely-crafted fibreglass housing. 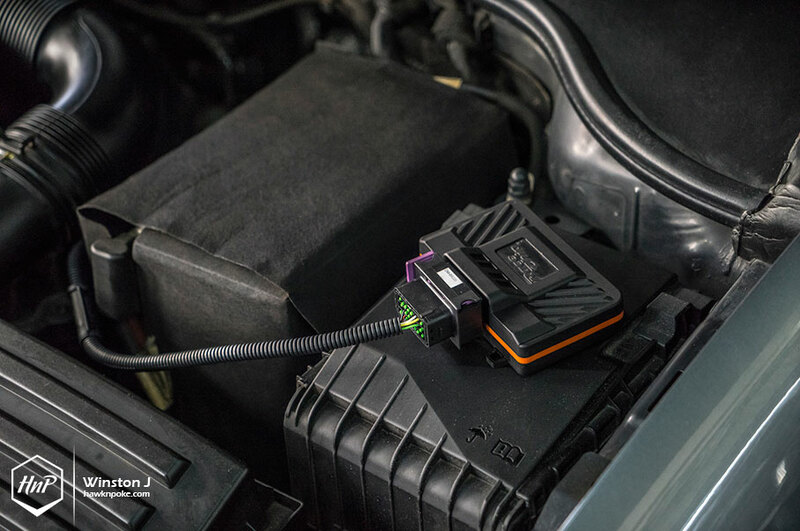 Securely connected to a car’s sensors via high-quality FCI-Automotive-plug, RaceChip product is capable of tuning the engine’s outputs and efficiencies to user’s personal settings with ease. 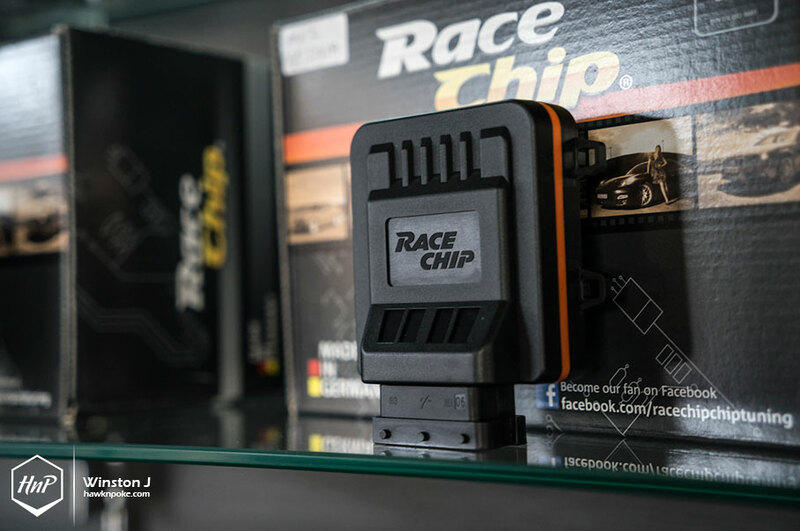 Under the most optimum setting, RaceChip product can increase horsepower output by 31% and torque by 26%, all while enhancing vehicle’s fuel efficiency by up to 1l/100km. How is it possible? All thanks to 18 years of tuning experience and hands-on approaches at automobiles ECU tuning right in their Germany Headquarter. 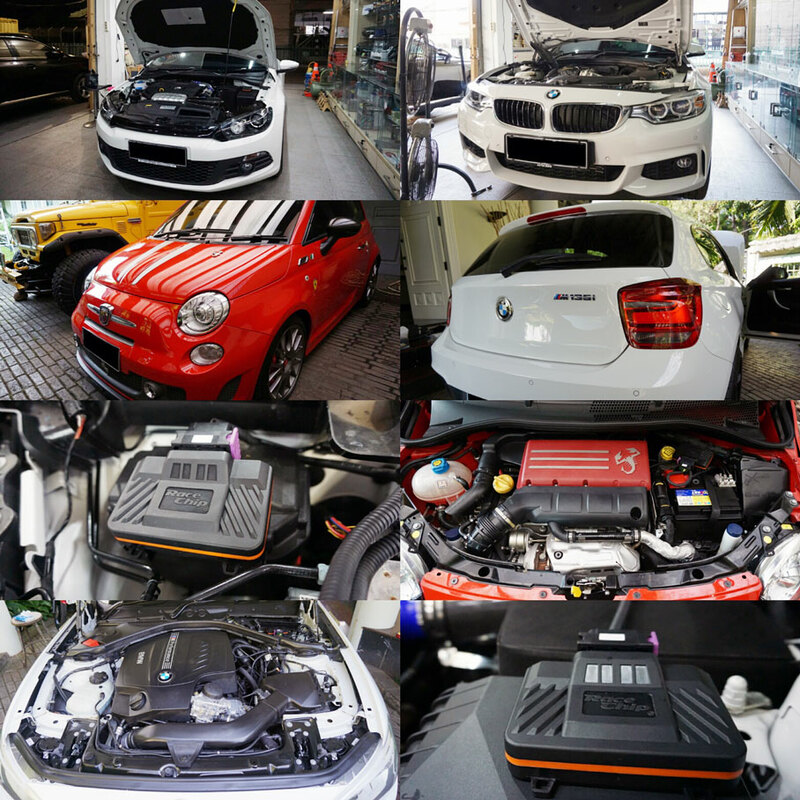 With all products thoroughly developed and manufactured in-house, RaceChip promises to deliver best-quality engine tuning system coupled with upmost importance on customer service. Apparent from Aaron Deak’s exclusive visit to Indonesia, it is surely clear that RaceChip is very much looking forward to serve their Indonesian customers well. Manuel Götz, founder of RaceChip, started his company with only five employees, yet has now successfully established an ISO-certified enterprise with more than 50 people in the team, along with 3,000 partners worldwide. An astonishing accomplishment that can only be contributed to RaceChip’s outstanding array of product offerings. Relying on three major products: RaceChip One, RaceChip Pro 2 and RaceChip Ultimate, the company visioned itself as the forefront innovator and provider of engine control units. Check out their official website for more info about the company. 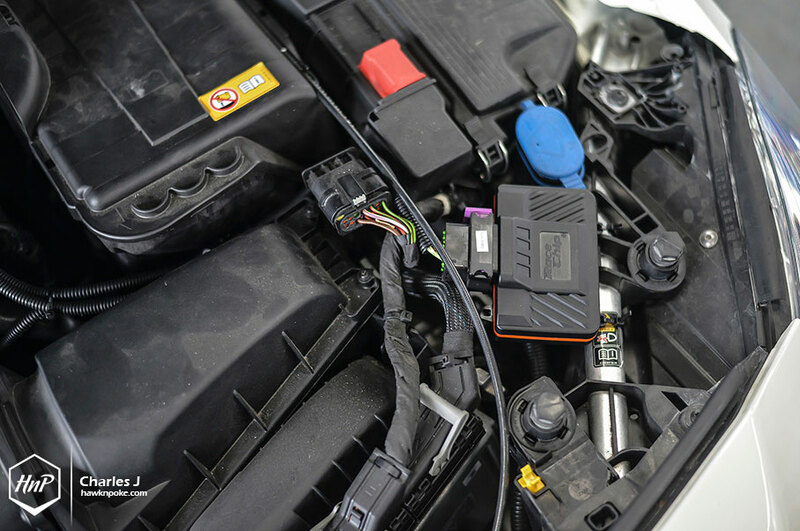 I’m very much aware that there are two options to choose from when it comes to ECU tuning: complete internal ECU reflash vs external control box. Unmistakably RaceChip belongs to the external category. 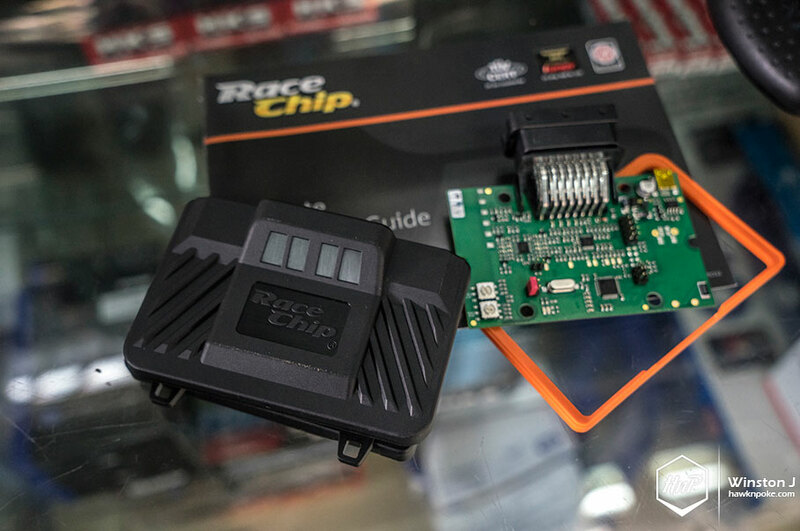 RaceChip development team has had years of experience in ECU tuning, starting from OBD-reflash to the current external tuning system, yet the company decided to only focus on external system today. Why? Because external tuning module delivers better ease of installation while keeping the engine’s OEM safety system. 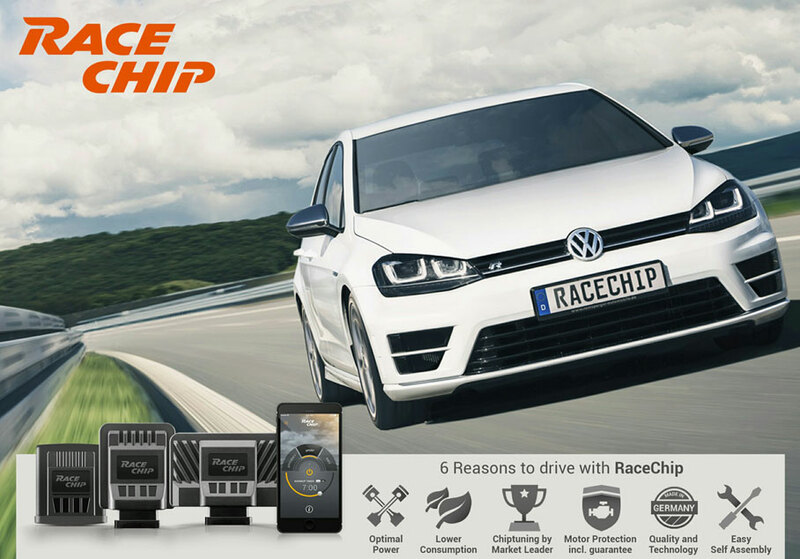 With such fail-safe technology in mind, RaceChip is capable of delivering the best performance and efficiency while maintaining engine’s safety parameters. After all, we’ve had our fair share of ECU fail stories from OBD-tuning right? Through this visit, RaceChip is also looking forward to getting better feedbacks on Indonesian market’s weather and fuel quality. 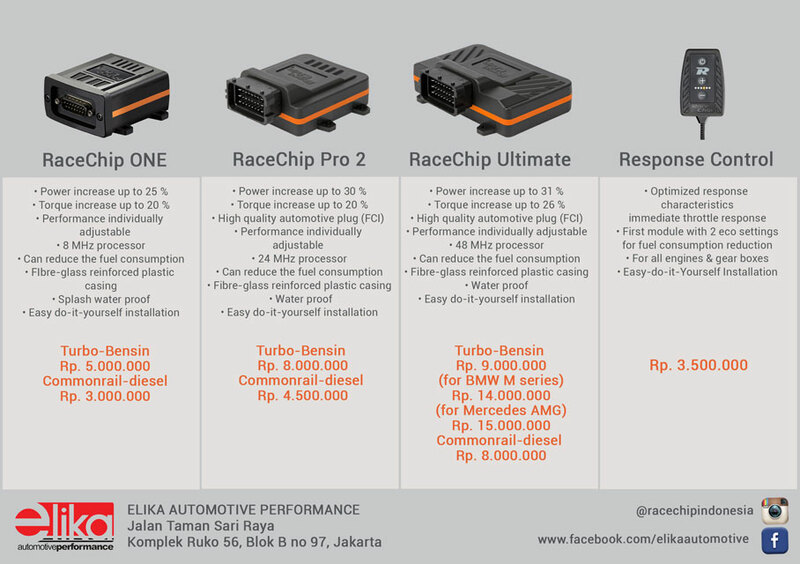 With such information in mind, RaceChip is now delivering even better products that are especially crafted for Indonesian customers. 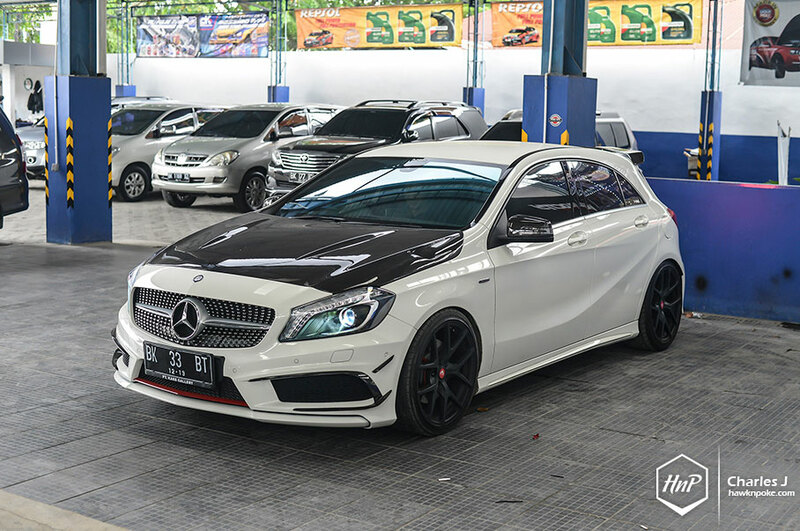 With more than 1,000 cars running on RaceChip in Indonesia (from Captiva Diesel to bi-turbo AMG to BMW M), it is without doubt that RaceChip has successfully secured a firm foundation in the Indonesian ECU tuning market.